How do we serve customers without reps? This is where we excel. We have no reps, but we also have no commissions, so none of us will ever try to sell you something you don't need. We have a small office and work on a community inbox, so that all of us are in the loop on your order. And we reply VERY fast � easily within 24 hours. Each of us is equipped and ready to handle all phases of your order. No departments, no divisions, just teamwork. 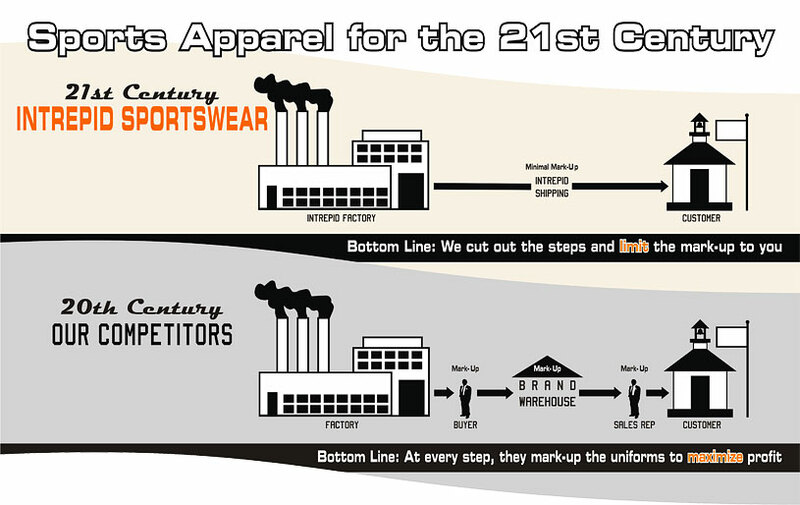 Bottom line: our philosophy is simple � we want to give you the best uniform you've ever played in. These are uniforms the pros wear. And we're going to do it at a fair price. Changing perceptions, changing minds. Call us and see what we can do.